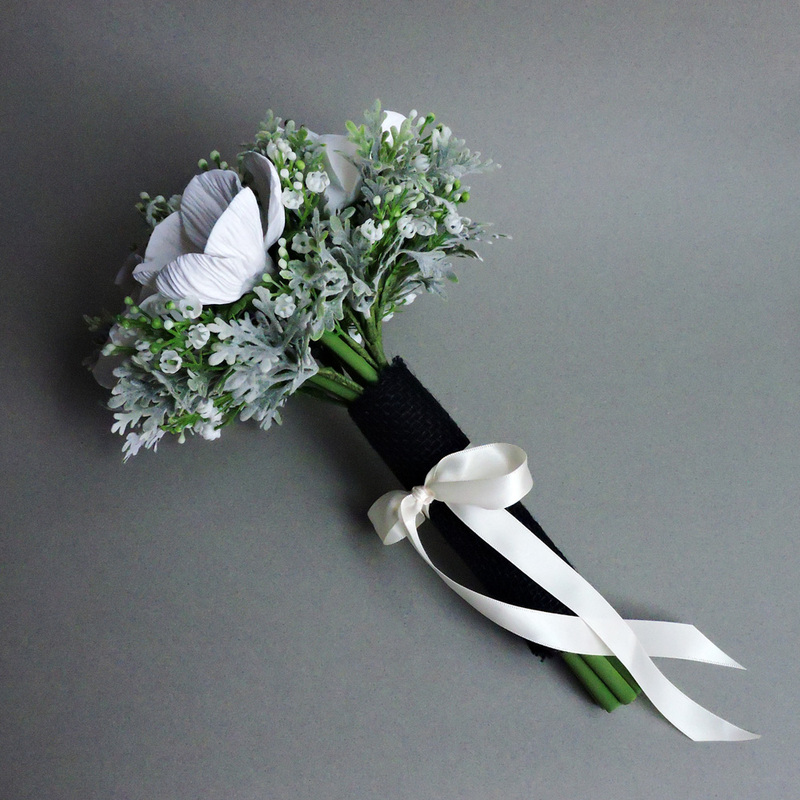 Quiana's wedding colors were green and white, and she wanted a predominantly white bouquet. I paired roses and anemones to give her some texture, and made the centers of the anemones green to better match her theme. 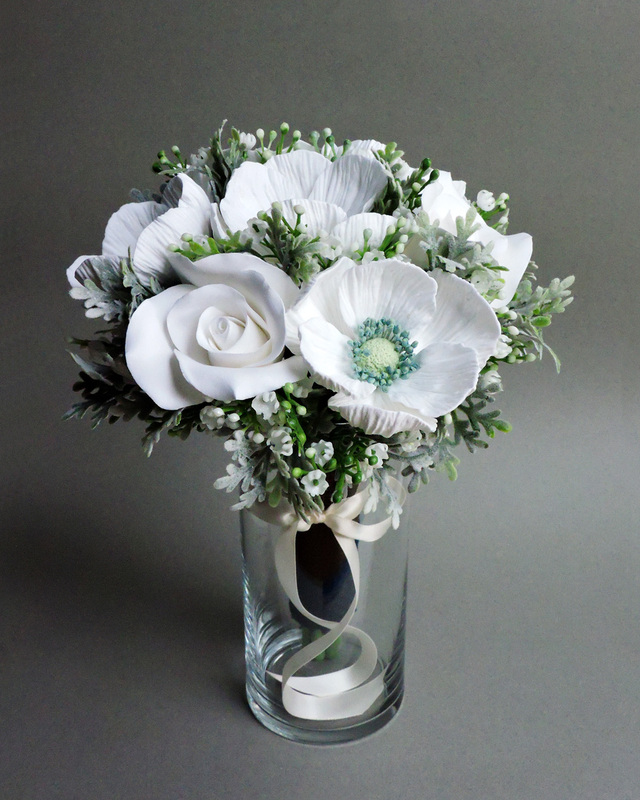 We opted to use plastic filler to give the arrangement some extra volume; the finer texture of the dusty miller and small white flowers help offset the larger clay blossoms. Quiana made all her own centerpieces and asked me to carry over the black burlap as an extra detail. It made for a lovely stem wrap!